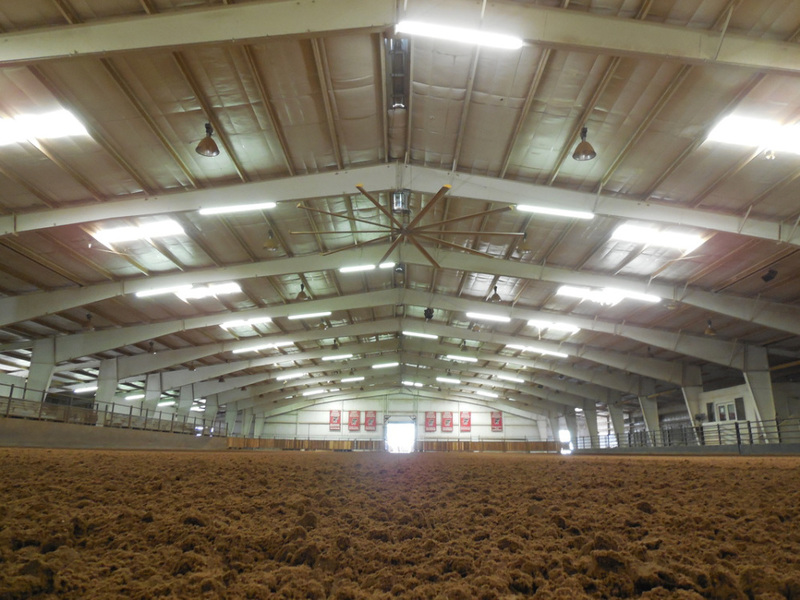 The Texas Tech Equestrian Center is an Indoor Arena with a Dirt arena surface. It is not climate controlled. Please Park in designated Exhibitor parking areas only. Parking is a short distance from the arena, you may want to bring a cart/dolly. "The Center" is the 50 acre home of the Texas Tech Equestrian Team, Horse Judging Team, Ranch Horse Team, Rodeo Team and Therapeutic Riding & Therapy Center. Our facility offers an indoor arena with seating for approximately 700 people, two warm-up arenas, as well as four more large event arenas. The Center contains 180 indoor stalls on site for events, students, and outside boarders. Quality competitive ground, tractor and drag are available with a full concession stand, clean restrooms and a meeting room on site. FROM WEST LOOP 289: Take 34th Street Exit and go west 2.5 miles to Upland Street. Left on Upland Street. Go south 1 mile on Upland to CR 6900 Right on CR 6900. Go west on CR 6900 1 mile to CR 1500. Left on CR 1500. Go south ½ mile to entrance to Equestrian Center - Proceed to parking lot. FROM HWY 62/82 SOUTHWEST OF LUBBOCK Turn north on to Upland Avenue and travel 1.1 miles to CR 6900. Turn left on CR 6900, and go 1 mile to CR 1500. 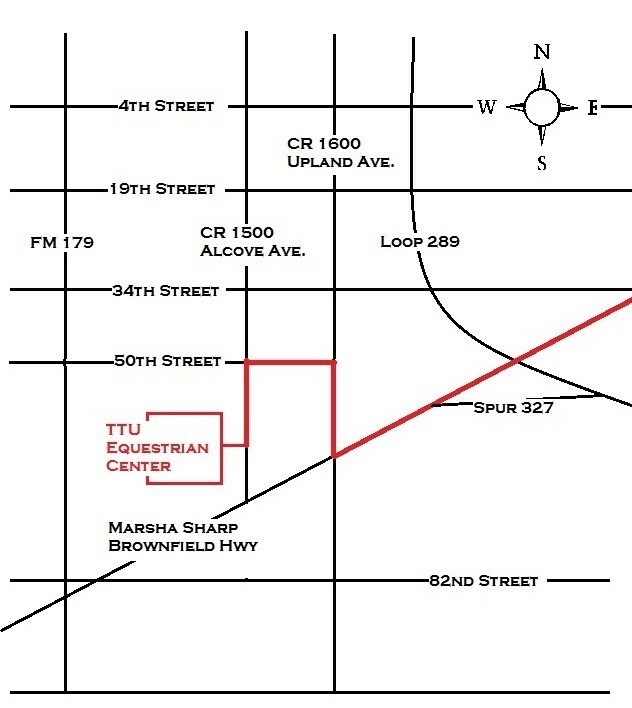 Turn left on CR1500 and go south ½ mile to entrance to Equestrian Center. Proceed to parking lot.